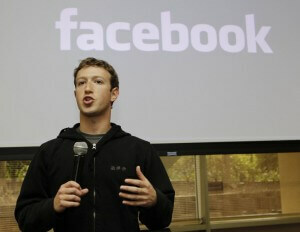 Home » Celebrity News » Facebook suing Mark Zuckerberg? Facebook is set to sue its founder’s faux doppelganger. An Israeli entrepreneur—formerly known as Rotem Guez—legally changed his name to Mark Zuckerberg, after he sued the Internet behemoth for denying him access to his own profile. The then Guez started the Like Store, which sold “likes” to companies. 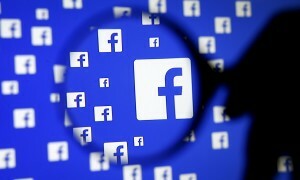 That practice violates Facebook policies, prompting the social network’s counsel to send a “cease and desist letter. 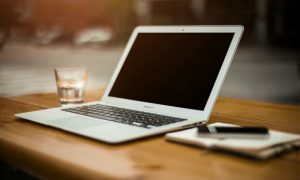 A Perkins Coie attorney, on Facebook’s behalf, demands Guez “immediately stop your activities.” In addition, it required him to certify, by Sept. 5, that he wouldn’t access the site for any reason. The former Guez said, in early December, that he’d made the name change. He offered a photo ID and passport as well as a purported video of his visit to Israel’s Ministry of Home Affairs as proof. The “other” Mark Zuckerberg explained his move in an email to the Huffington Post. “Facebook decided to sue me after I myself, filed a law suit against them, in Israel. I wanted that once they sue me, they’ll face suing “Mark Zuckerberg”. Facebook accused me of selling fictitious “Likes”, which is not true, our “Likes” come from real users who want to receive our content and instead of paying us with money, and they pay us with “Likes”. The idea was, if only “Mark Zuckerberg” is allowed to sell likes, then for that matter, I’m “Mark Zuckerberg”. “If you ignore this letter and continue your current improper conduct, Facebook will take whatever measures it believes are necessary to enforce its rights, maintain the quality of its site, and protect its users’ privacy and information,” the letter said. Flouting the Perkins Coie lawyer’s warning, the new Mark Zuckerberg remains on Facebook. In fact, he’s created a new page—“I’m Mark Zuckerberg.” The page features images, personal documents and media mentions. The page has gotten more than 3,000 likes. With that said, the new Zuckerberg is already learning to take criticism for being a copycat in stride. “The world is big enough for more than one Mark Zuckerberg,” the new Zuckerberg said.